GR Asian-Pacific Festival committee to present dance and music performances representative of Bangladeshi heritage and culture. During the event, explore the works on view as part of Transitions: New Photography from Bangladesh, enjoy a cash bar, light bites and lively entertainment. 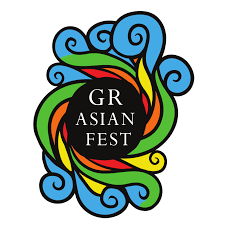 The Grand Rapids Asian-Pacific Festival happens June 9, 2018 in Rosa Parks Circle and is free and open to the public. With the rise of factories, investors, and development, the landscape of Bangladesh is changing. Transitions is a traveling exhibition of new Bangladeshi photography originally curated by the Bangladeshi American Creative Collective. This group show features nine Bangladeshi photographers whose work reflects a diverse group of people, shifting economies, and changing lands. Its aim is to not only to collect and exhibit photography as art, but also as ideas about the country of Bangladesh. These photos navigate the stories of Bangladesh’s people, landscapes, and its position in the world. The exhibition initiates important discussions around the meaning of changes, shifts, and transitions across generations and communities. Participating artists include Arfun Ahmed, Taslima Akhter, Debashish Chakrabarty, Rasel Chowdhury, Samsul Alam Helal, Jannatul Mawa, Manir Mrittrik, Saikat Mojumder, and Tapash Paul. Individuals with disabilities who require accommodations should contact Megan Bylsma, Associate Director, at 616.454.7000 x11 or megan@uica.org at least 72 hours in advance.